Blue tansy essential oil is the volatile oil obtained by steam distillation of leaves, shoots and arial parts of Tanacetum annuum with an average oil yields ranging from 0.25 - 0.50% by mass. 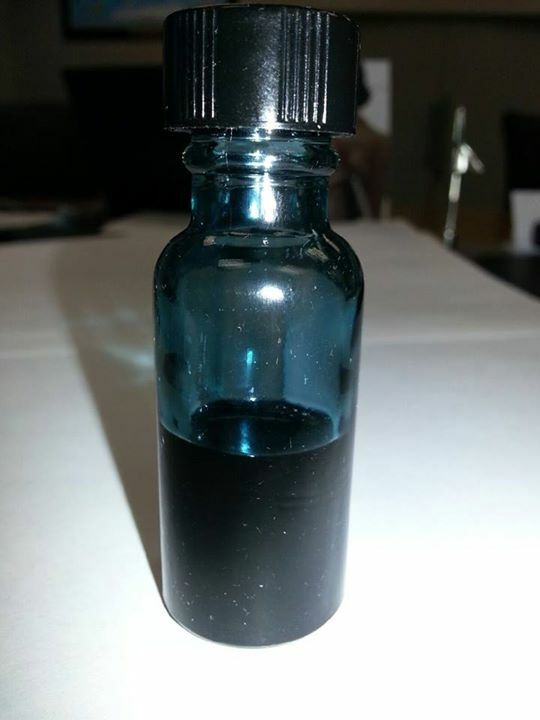 The oil is known for its relatively high chamazulene content resulting in its ink blue color, almost appearing black when the chamazulene is on the high side. The oil can start to take on a green tint with aging but remains predominantly dark blue. Commercial scale production of the oil can yield a product with chamazulene levels up to 15% but typical ranges are somewhat lower. Small laboratory distillations of just the fresh aerial parts have literature reports claiming chamazulene content as high as 38%, but these levels are never seen in the commercially produced oil. Essentially all blue tansy for oil production is grown in the northwestern parts of Morocco, although other regions are being explored as the oil has seen record prices in 2014 due to supply shortages. The recent drastically increased demand and following supply shortfall has resulted in a significant amount of adulterated or outright fake oil on the market. Typical adulterations are found with Nepalese chamomile, regular tansy (Tanacetum vulgare) as well as with other Moroccan oils such as Moroccan artemisias (Artemisia herba alba), wild Moroccan chamomile (Omenis mixta or multicaulis) and even Atlas cedar wood oil (Cedrus atlantica). All of these adulterations are easily detected by GC/MS. Of particular concern is the adulteration with the artemesias or with common vulgare tansy which typically contain high thujone, a known neurotoxin. There should be no more than a trace of thujone in the oil of blue tansy, if any at all. It should be noted that the name "Blue Tansy Oil" is reserved only for the oil obtained from Tanacetum annuum. 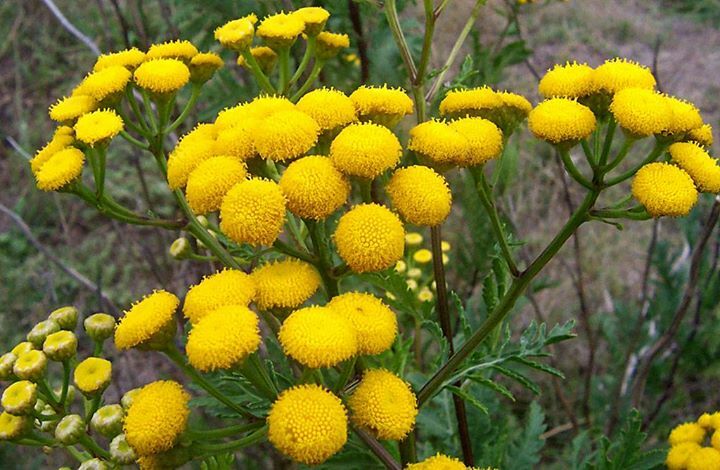 The oil from Tanacetum vulgare is NEVER referred to "Blue Tansy Oil" as this oil is high thujone and has no chamazulene and therefore is not blue in color. Any oil sold as Tanacetum vulgare that is blue in color and also contains significant thujone is not an authentic oil. Blue tansy oil is often referred to in Morocco as Moroccan blue chamomile oil but this name is not preferred because of the confusion with the wild Moroccan chamomile which has vastly different chemistry and odor. The pleasant odor of this oil is unique and and hard to compare to any other oil, having terpenic, camphoraceous and fruity notes all occurring simultaneously. The oil has gained quite a following in aromatherapy circles for its therapeutic value and its easy to see the odor value of the oil from a perfumery standpoint but most perfumers are likely reluctant to formulate with the oil because of the intense blue color. Perhaps a fractionated version of the oil will one day be used in perfumery where the chamazulene has been removed (chamazulene contributes nothing to the odor). There is currently no ISO standard for blue tansy essential oil. The EOU Standard for blue tansy essential oil is based on years of data collected from GC/MS analyses of samples from various suppliers in Morocco. The EOU Standard is simply a benchmark for quality. It is realized that natural variations can cause production of oil with components outside of these ranges and an oil with components slightly out of these ranges doesn't necessarily mean the oil has been adulterated. All of the below ranges would be considered when calculating the overall EOU Score (based on 100 points possible) for the oil being evaluated. *It should be noted that pulegone is almost always observed in blue tansy oil at anywhere from 1-4%. However, pulegone is not officially part of this standard yet because some samples have shown 0% pulegone content and therefore it's not certain that pulegone is actually coming from blue tansy or if some fields are contaminated with Moroccan pennyroyal. It is also possible that blue tansy is distilled right after pennyroyal harvest and the stills are not cleaned properly in between crop changeover. Since pulegone content can be up to 80% in pennyroyal, its suspected that the pulegone content in most all blue tansy oil is not actually from the blue tansy plant itself.